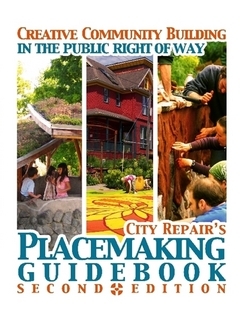 City Repair offers courses and other resources about permaculture. Check out our options below! With Institute of Permaculture Education for Children, GeerCrest Farm & Historical Society, Witch Hazel Designs and Education. Our three-season, hands-on, village-style course for Earth activists interested in sustainability and permaculture. Our placemaking guidebook details how you can transform your neighborhood from socially isolated, yet relatively stable, to a socially active and inclusive community.